Ten other regions in France are now in a pre-epidemic phase, compared to five last week. Only Pays de la Loire and Corsica are not currently in a state of epidemic or pre-epidemic. The illness has arrived later this year, which has been attributed to the higher-than-average temperatures seen in autumn and winter 2018. The spread of ‘flu has also been blamed on the relatively-low level of vaccination coverage, which is at just 43%. Yet, the levels of vaccination uptake are on the rise overall, with health minister Agnès Buzyn confirming in December 2018 that stocks of the jab had initially run low due to more and more people choosing the get the jab. Ms Buzyn encouraged people to continue to get vaccinated, however, and said that “the message is starting to get through”, as France has continued to mount anti-’flu campaigns from October onwards for the past few years. The vaccination is especially recommended for anyone aged 65 and over, anyone with a chronic illness - such as diabetes, heart or lung problems -; pregnant women; and the morbidly obese. Yet, younger people can also benefit, as the illness can prove dangerous for everyone. Anyone working in public health (such as GPs, nurses, physiotherapists and dentists) is also advised to get vaccinated. Similarly, a high level of immune protection among the healthy population can help protect those who cannot receive the vaccination due to health problems - known as “herd immunity”. In France, vaccinations can either be given at local pharmacies - especially for those who are high-risk - or you may need to buy the vaccine yourself and take it to a nurse separately. 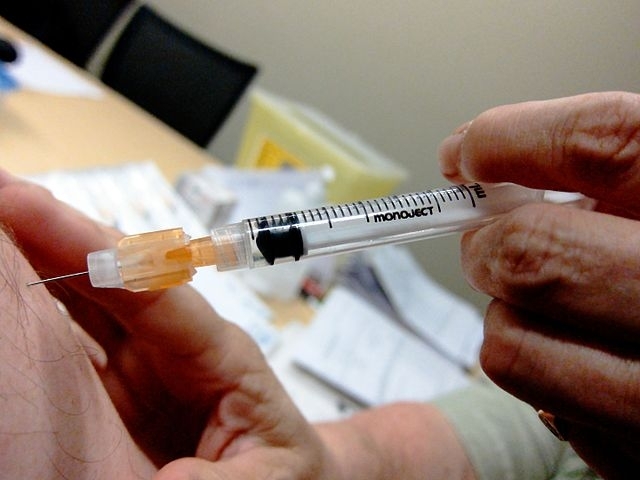 This winter (2018-2019), a new scheme was launched in four regions - Auvergne-Rhône-Alpes, Hauts-de-France, Nouvelle-Aquitaine, and Occitanie - to make it easier for pregnant women, and people who have never had the vaccination, to get vaccinated at pharmacies on-site. Last year, the epidemic was deemed especially severe, with 13,000 dying of the illness. Around 85% of those who succumbed were aged over 75, but ‘flu can affect people of any age, especially those with compromised immune systems.